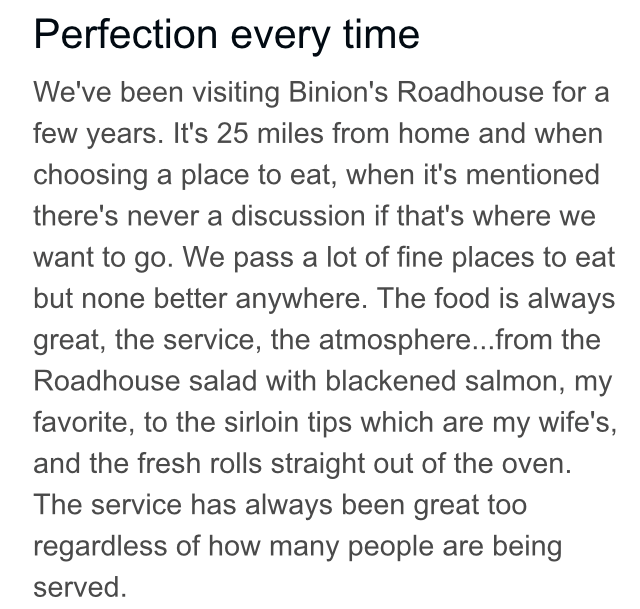 Binion’s receives MANY wonderful reviews from GREAT folks near and far. Some, like this one just posted on TripAdvisor by Charles from Black Mountain, sorta take our breath away and make us pause & bow our heads. If you’ve driven from Black Mountain to Hendersonville and back, you’ll better understand. Thank you, Charles!